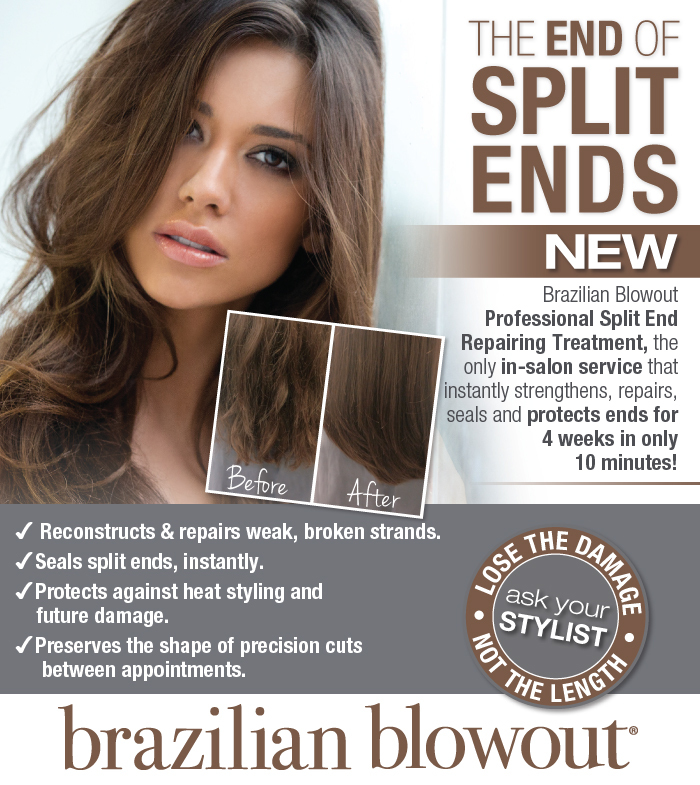 Fusion Hair Design now offers the Brazilian Blowout Split End Repair Treatment! 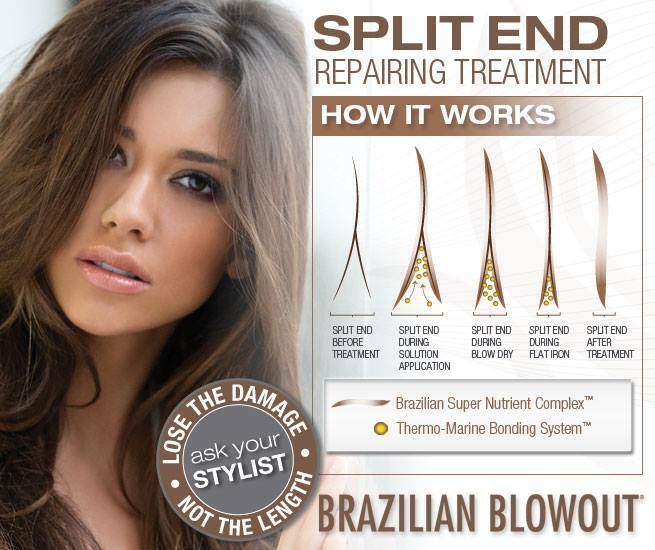 This Split End Repair Treatment can be added on to any hair service. It only takes 30 minutes – start to finish! Prices start at $30.